This summer, the Verbier Festival celebrates its first quarter of a century! Like every year, artists and audiences will come together to be part of incredible music in the heart of the Alps. The 2018 festival program features an astonishing array of the international scene’s greatest classical musicians. From the opening concert led by star maestro—and the Verbier Festival Orchestra’s new Music Director—Valery Gergiev, to the 25th Anniversary Gala, this year’s festival is made up of one not-to-be-missed event after another, to the delight of music lovers everywhere! New this year, in addition to the more than 29 concerts streamed live, medici.tv will offer a livestream of a rehearsal of one of the symphonic concerts, and will webcast selection of master classes with Sir András Schiff, Pinchas Zukerman, Richard Goode, Gábor Takács-Nagy, Thomas Quasthoff, and other brilliant pedagogues. Jim James is the lead vocalist, guitarist, and primary songwriter of the rock band My Morning Jacket. This week, he’ll be in-studio here in Los Angeles when he takes over the airwaves on KCRW’s Morning Becomes Eclectic. Watch live video courtesy of VuHaus, a non-profit, digital music video service that introduces emerging and established artists to new audiences. JamGrass TV will be LIVE from the 17th Annual Northwest String Summit on July 19-22, 2018. This FREE live stream includes performances from Yonder Mountain String Band, Greensky Bluegrass, The Infamous Stringdusters, Leftover Salmon, Railroad Earth and more — all live from Horning’s Hideout in North Plains, Oregon. The webcast is produced in partnership with Sierra Nevada and JamGrass TV, the premier online destination to experience FREE live and recorded concert footage for all your favorite Bluegrass, Jamgrass and Folk Rock concerts. All the action kicks off Thursday afternoon at 3PM Pacific. Global Dance Festival Colorado is the largest annual dance music event in the Rocky Mountains, put on by Goldenvoice and AEG Presents. GDF features the greatest electronic music artists of our generation and this year’s lineup is set to feature performances from deadmau5, Flux Pavilion, Future, Tiesto, Gucci Mane and many more across two days. Don’t have a ticket? Don’t fret! LiveXLive will be on hand to bring you live action from Global Dance Festival beginning Friday. Stay tuned for complete webcast lineup, times and more! 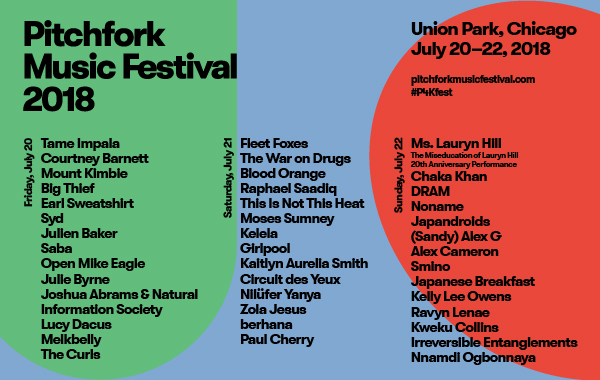 Pitchfork Music Festival is an annual three-day music festival that takes place in Chicago’s Union Park from July 20-22, 2018 and features a slew of performers such as Tame Impala, Fleet Foxes, Ms. Lauryn Hill, The War on Drugs, Chaka Khan and more. The festival has been tight-lipped about this year’s webcast plans, however those should be released any day now. Stay tuned for complete live stream lineup, times, and much more.